Can Your Credit Score Save You Money on a New Car? Can I Get a Car Loan If I Have No Credit? Buying a car is one of the most stressful financial decisions you can make. Not only are cars expensive, you also usually make this decision only once every few years, and you are facing off with someone who deals with car sales every single day. It’s no wonder so many people hate the idea of buying a car. Fortunately, with just a handful of tips and tricks, you can claim the upper hand in the negotiation. Here are a few car-buying hacks the sales person at the showroom hopes you don’t know. One of the most powerful negotiating strategies doesn’t even require traditional haggling. When you know what car you want, contact all the dealers within a 50-mile radius for a quote. With just a few emails you can get every dealer to compete against each other and you never even have to talk to anyone. What makes this even more powerful is that you can use lower offers as negotiating tools, as other dealers are usually willing to match their competitors’ bids. Trading in your vehicle is often not going to get you top dollar. To get a good idea of how much your car is worth, check the National Automobile Dealers Association prices. It’s what the dealer will use. If their offer of a trade-in is close to that value and you’re happy with it, by all means trade it in. The best way to get cash for your car is to sell it privately, though it takes far more work than signing over the title and handing the keys to the dealer. This may come as a huge shock, but you may not get the best loan at the car dealer. Interest rates tend to be lower at banks or credit unions, allowing you to save more money, and it’s best to get pre-approved before you set foot in a dealership. Even if you don’t have good credit, you should still shop around. Just because you have bad credit doesn’t mean you shouldn’t try and find the best car loan terms possible. No matter where you get your auto loan, it’s important to tune up your credit score before you apply so you get a better interest rate. To see where your score stands and understand what you need to do to improve it, you can get two of your free credit scores every 30 days on Credit.com. Dealers make a fortune on the add-ons, whether it’s the extended warranty or aftermarket rims. They’re all sold at a significant markup. If you’re buying a brand new car, it often comes with a very good manufacturer’s warranty. Buying an additional extended warranty on top of it might give you peace of mind, but you might never use it. Consumer Reports did a survey some years back and discovered that 55% of people who purchased an extended warranty never used it. If you still want the extended warranty, search for a third-party provider to try to find the best deal. Even if you find the dealer’s option to be best, you’ve done your due diligence and have shopped around. There’s a lot of debate about what price is accurate. Is it the invoice price (what the dealer paid for the car)? The sticker price (what the manufacturer recommends dealers sell it for)? Or some other calculation? Ignore all of the numbers. They’re mostly meaningless. Dealers get all kinds of compensation outside of the profits from the sale of the car. If they meet quotas or hit performance tiers, they’ll get a bonus. Some dealers will sell a car at the end of the month at a loss if it bumps them into the next tier because of what it means to their take-home pay. In a fascinating episode of This American Life, titled 129 Cars, the hosts followed the activities at one car dealership near the end of the month, and it gives you a good look into the economics of car sales. In any negotiation, you need to be willing to walk away. The sales person needs the sale far more than you need to buy. Take advantage of that strength by driving a hard bargain and being willing to walk away from the sale. There will be other sales people, other dealers and other days to find a car at a price that you’re comfortable with. 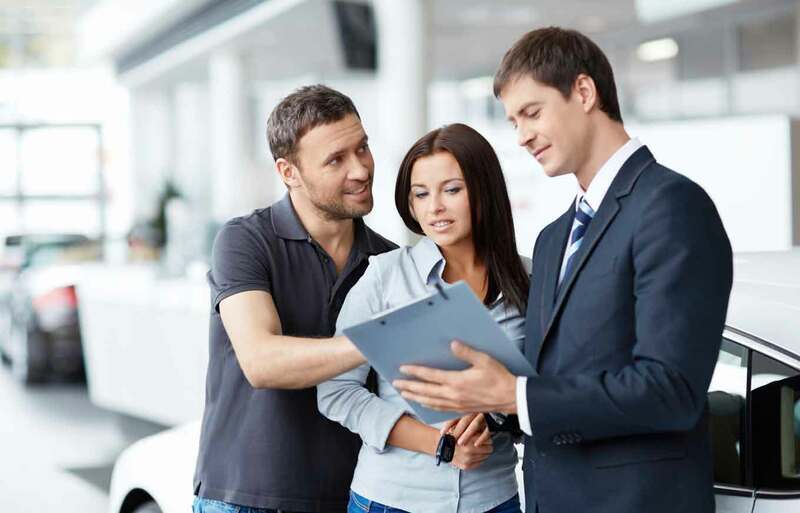 If you go back the next day, even if you stormed out of the dealership, the salesperson will, almost certainly, happily sell you the car — especially if you wait until the end of the month.